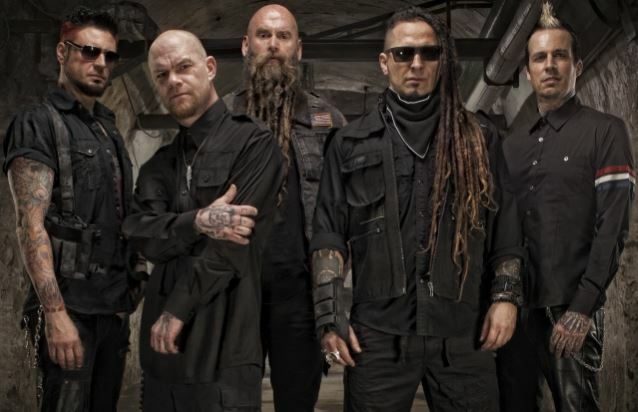 Five Finger Death Punch guitarist Jason Hook was recently interviewed by RockMusicStars, you can read some excerpts below. About band's current and upcoming activities, he said: "We're at the end of a bit of a break right now, and in mid-April we are heading to Australia to tour with Black Sabbath. We are playing lots of festivals, headlining rock festivals throughout the summer. And there will be a big co-headlining tour for the fall, which has not been announced yet, so I won't say with who, but it will be the biggest one we've ever done. So I'm excited."